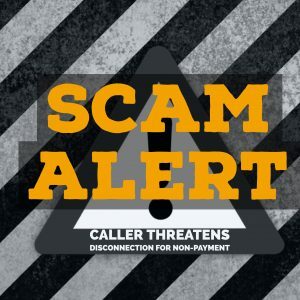 Scam Alert: Unauthorized caller threatens service disconnection - Broad River Electric Cooperative, Inc. Please be aware that members of Broad River Electric Cooperative have been contacted by an unauthorized party threatening to terminate service for non-payment. The caller falsely claims to represent Broad River Electric and attempts to receive payment for a fabricated balance due or power will be immediately disconnected. If you have been contacted by someone you suspect is attempting a scam call our member services department at 866-687-2667.